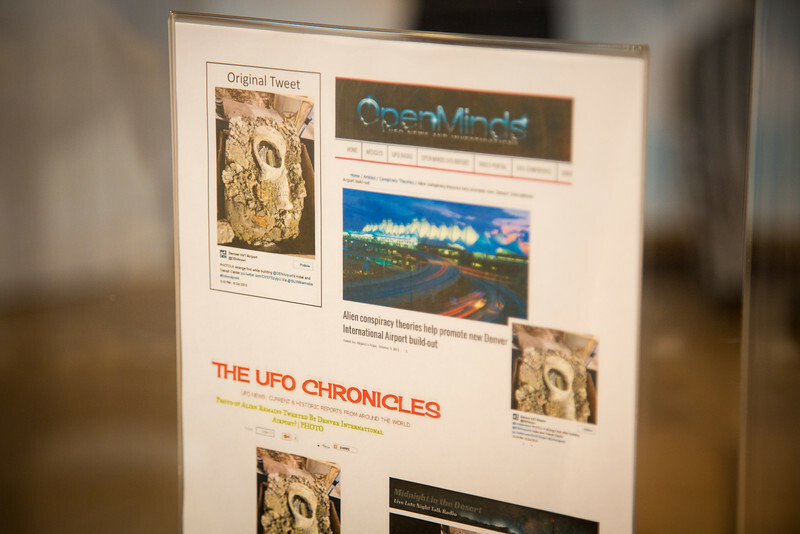 “Conspiracy Theories Uncovered” is a new, temporary art exhibit located on level 5 west of the Jeppesen Terminal near the north security checkpoint. The exhibit features video, artwork, props and more, explaining some of the most pervasive airport conspiracy theories and the “real” explanations behind them. Visitors will enjoy a compilation of all things mysterious, sinister and strange having to do with DEN. This free exhibit is open 24-hours a day.